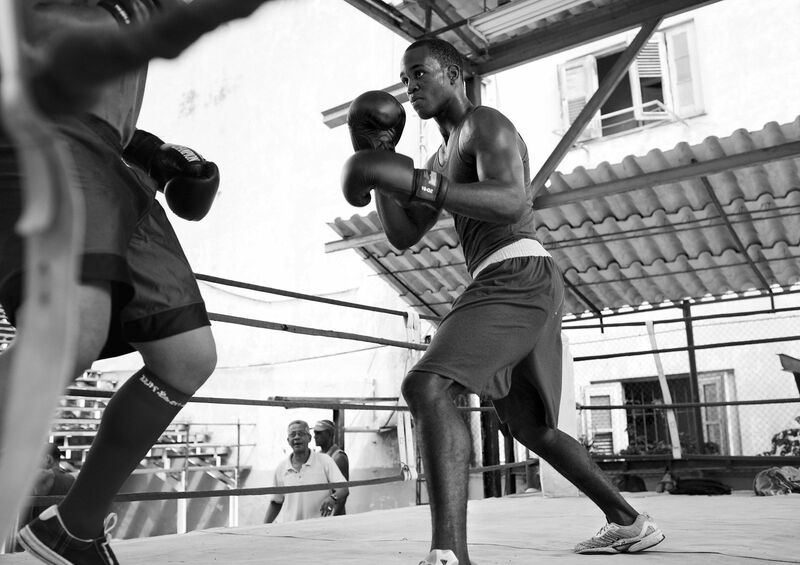 boxers at the rafael trejo boxing gym in havana prepare to spar. 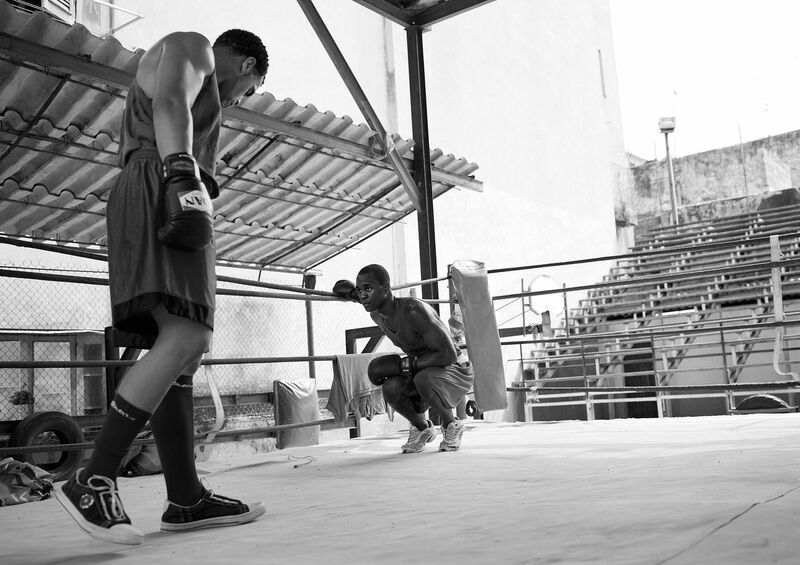 boxers spar inside the rafael trejo boxing gym in old havana cuba. 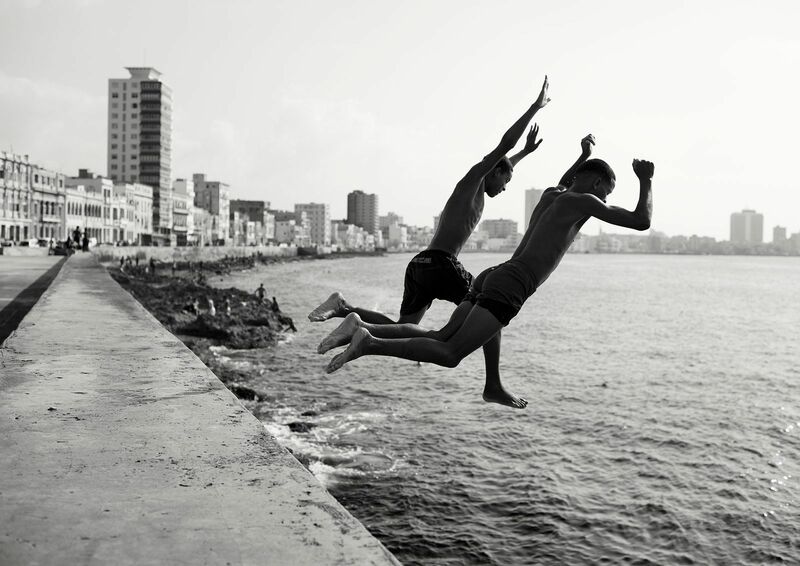 teenage boys dive into the water along havana's malecon. 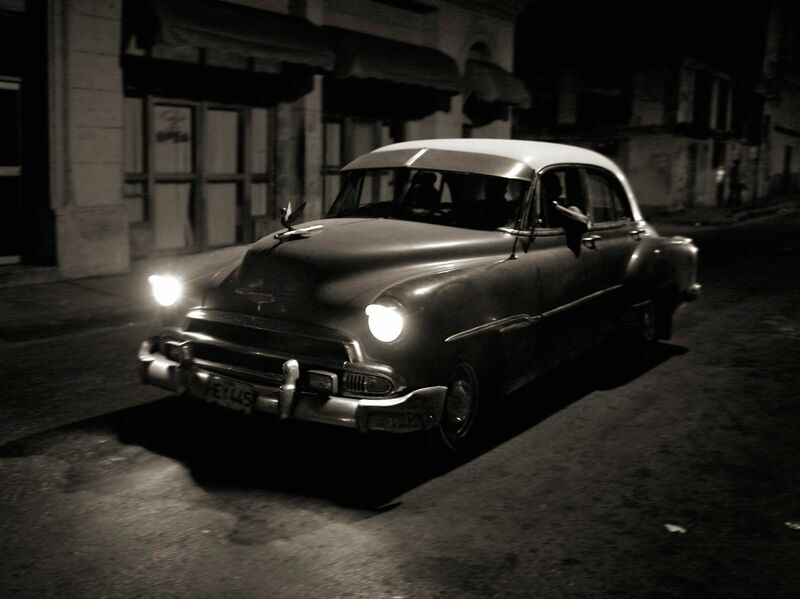 while most automobiles in cuba are modern economy cars produced in china and russia, it is common to see classic american cars from the 1940's and 50's used as taxi cabs, and limousines. a handwritten music chart sits in the middle of an afternoon rehearsal of the band guacachason, near the promenade in havana's centro historico. a ballet instructer at el escuela nacional cubana de ballet in havana corrects a young dancer during class. 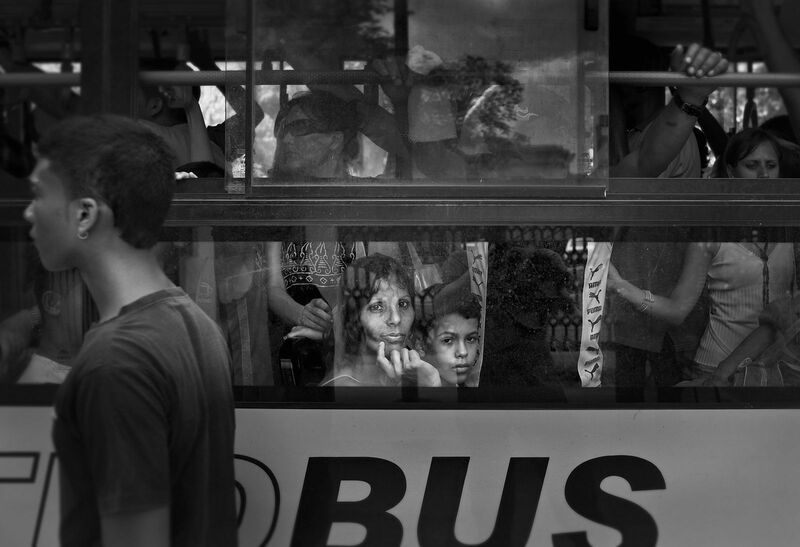 dancers from the largest ballet school in the world often enter lucrative careers with the national ballet of cuba and performing for tourists at several of the cities historic nightclubs.